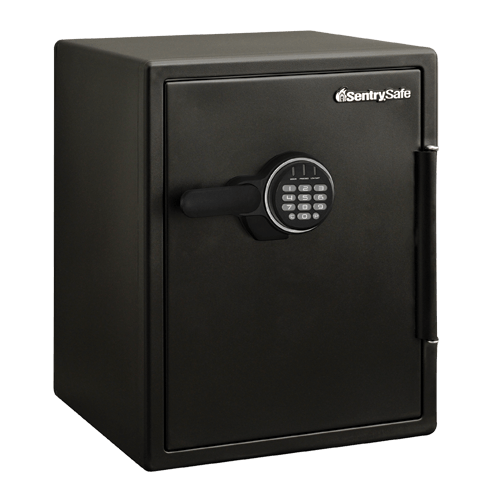 SFW205EVB Digital Fire/Water Safe is rated 4.5 out of 5 by 17. 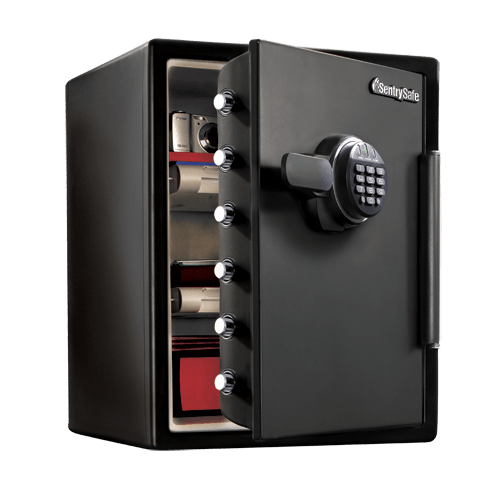 Rated 5 out of 5 by Aloysius from No final review 'til a disaster We got the safe to store original trust documents, at the suggestion of our advisor. It is very sturdy, very heavy. The set up and registration instructions are clear. The Sentry folks' follow-up on line has been quick and helpful. Should we have a fire or flood, I'll repost to let you know what survived. Rated 2 out of 5 by JOHNBOY from Big Disappointment We were very disappointed when we got the safe home and one of the first things we read was, don't store CD/DVD video tapes in this safe and also found if it stayed closed for more than a week or two at a time there is a possibility of moisture developing and paper documents could be damaged. 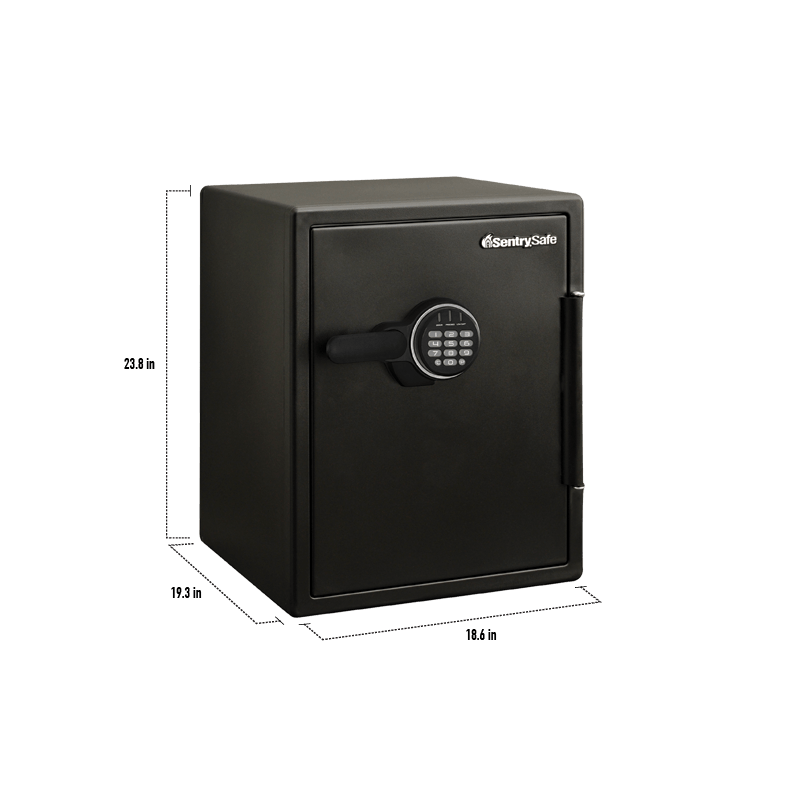 Rated 4 out of 5 by Dianadv from Very useful small fire safe I love this safe because it fits in my clothes closet near where I need the jewelry I store in it. I also have all the insurance and other papers I might need some day. But I wish I had more trays. 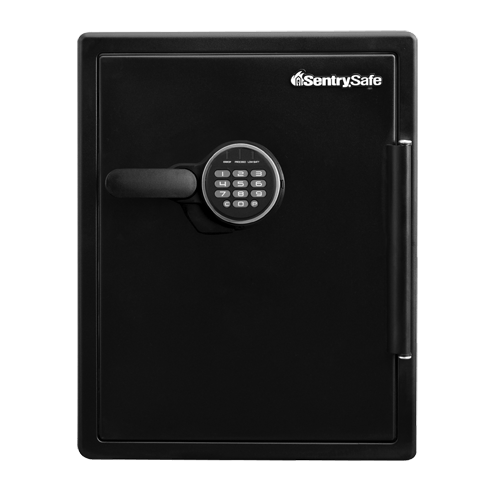 Rated 4 out of 5 by Darrell Sullivan from Sometimes difficult to open Sometimes the lock can freeze up after you input your security code. And the strong dead bolts eject before you can close it. Rated 5 out of 5 by Farmer from After only one day of use it seems to be okay. The size is just what I wanted. I have a smaller safe that is plum full. That is the reason for getting another. Rated 5 out of 5 by Photographer from Peace Of Mind I bough this safe to store my camera Equipment. The key pad makes it very easy to get in and out of. love It!